Maintains cutting edge hardness throughout tool life. Longer tool life than HSS. Tantung works at speeds of up to 450 SFPM. Operates at speeds where HSS fails. Won't chip like carbides at lower speeds. 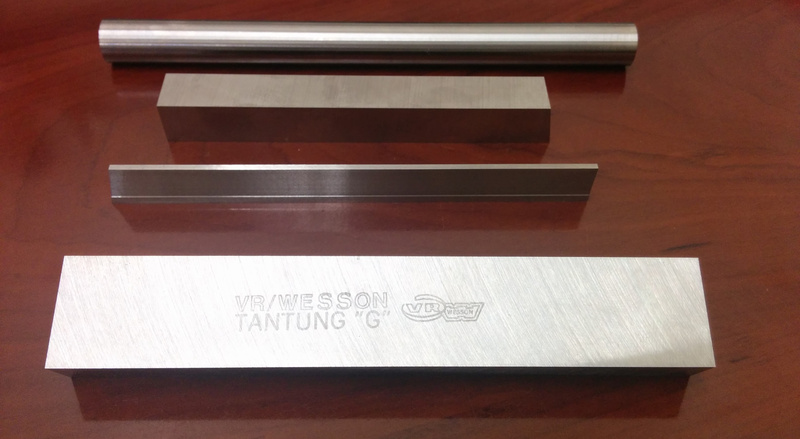 Tantung can be used on machines where speeds and rigidity are limited. With tantung tools, older machines can handle increased production loads and help reduce costs. Performs interrupted cuts significantly better than carbides. Tantung's chemical composition and manufacturing process amount for its wear resistance, toughness and red heat hardness. Tantungs* low co-efficient of friction makes it an ideal cutting/slicing material.